Surge protectors are an indispensable but inexpensive modern tech way to protect your both gears and ensure personal security against random power spikes. Multiple types of surge protectors emerges in current markets and most of them are largely identical but with minor differences. Here are a few things about surge protectors that may help you to figure out these minor differences and choose the right one home. There are many brands of surge protectors with an wide range of features and prices, and a barrage of seller’s attractive marketing promises, it is easy for you to be hesitant that which surge protector is better. Before purchasing, you should know what types or brands of surge protectors you want to buy. 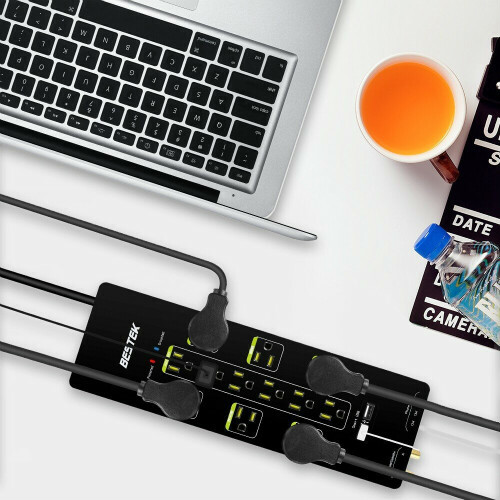 Surge protectors of BESTEK, Belkin, APC, etc, are the top brands in market. You can choose among them if you have less time to shop around. You also should know what types of surge protectors you want. More outlets? More additional USB ports? More outlets and USB ports can meet your more charging requirements and help to reduce home clutter. Surge protectors (or surge suppressors) are different from power strips. To some extend, power strips are a kind of extension of wall outlets. Typical power strips are added multiple outlets and into long power cord to allow charging in a wider area. These power strips with cheap price can meet your common charging requirements, while they can’t guarantee your security. Some of these item can’t offer real full protections for your devices from powering issues though a circuit breaker is built-in. Other are used the barest protection level or even no protection systems as described online. Polish your eyes when buying one. Surge protectors are a big step forward in the history of charging. Reliable surge protectors can offer real protections when peak current or peak voltage occur. They can conduct shunt definitely within extremely short time to avoid damages. A surge protector power strip is more worth to buy. Joules are units of energy released by surge protectors. The higher joules, the better the protections. If a product contains 1000 joules, then it can take the hits of one 1000 joules hit to protect your devices better. When an instantaneous power increases suddenly of great magnitude, then the power spike occurs. Spikes are short duration electrical transients consists of voltage spikes, current spikes and energy spikes. It may be caused by various reasons, such as lightning strikes, power outrages, tripped circuit breakers, short circuit, etc. Power spikes can come over any lines, including power lines, phones lines, network lines and so on. As you can see, risks are existing anywhere. Extension damage may be caused if full protections are not taken accurately. Surge protector can exactly help you with it in some way. 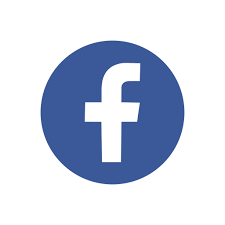 Media channels are filled with ads or promotion sales everyday that claims to provide the best experience for you. You may be influenced and choose one surge protector home full of joy, only to find that it doesn’t fit for your household voltage or plugs. Due to the difference of districts and district voltage, there is no real worldwide universal surge protectors that suit for any area. One surge protector may only fit for USA (110V with US plug) or EU (220V mostly), but can’t work in Africa or India. 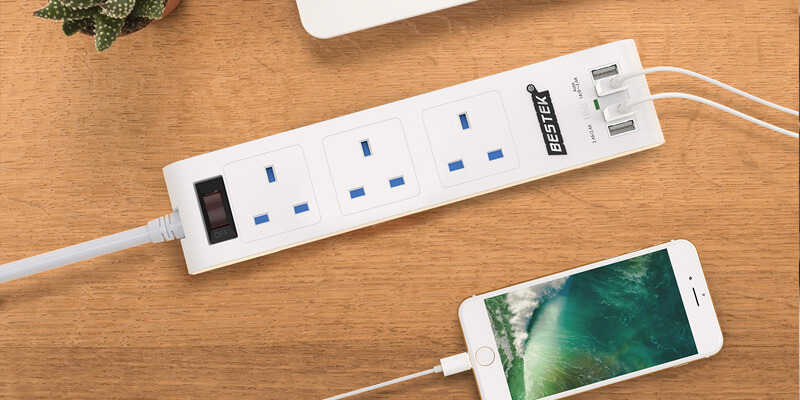 Manufacturers has realized this problem and bring forth plug adapters and voltage converters, like some BESTEK surge protectors which are included international EU/UK/AU/US adapter plugs. Don’t buy one that is useless even if it is perfect. Multi outlets surge protectors are popular as it is convenient and powerful to enable you to charge multiple devices at the same time. You can choose one with more outlets according to your needs. But one thing you need to know is that more outlets don’t means it is better for you. Once the outlets are not suitable for your appliances, then the surge protector will be lain unused and waste money. On the other hand, the more outlets the surge protector has, the higher the tech will need. If the item is inaccurate designed, it is easy to give rise to electronic shock and misplug. Many surge protectors are designed with USB charging ports, allowing you to charge mobile devices at the same time. You should not only pay attention to the number of USB ports, but also the amps of total current and each port. Amps stands for the load capacity. The more amps, the more rated current, and the stronger load capacity. If the USB amps is 3.1A, one is 1A, and another is 2.1A. 1A can charge your mobile devices quickly, but for tablets, over 2A is needed. In common sense, USB surge protectors are used at home or office, no need to take into account of its weight or size. 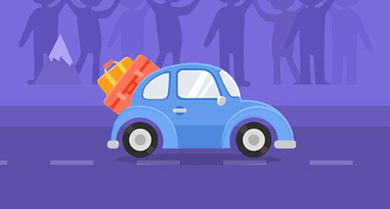 Nowadays, traveling around is becoming main pleasure in peoples’ life. Hotels may only have few wall outlets that while you need one that can charge multiple devices including mobiles ones and appliances. 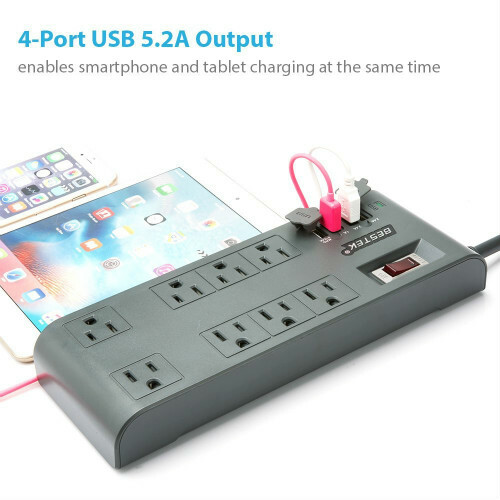 No matter you’re traveling overseas or in domestic, portability of one surge protector is important. One compact surge protector can be carried on and packed well by your bag, luggage. Surge protectors have its value of existence. Choose one that worth to buy.